Dr. Daniel Laby will share his family’s Sephardic journey from 13th-century Zaragoza, Spain to the New World with members of the Jewish Genealogical Society of Greater Boston, on Sunday, April 25. Read Tracing the Tribe’s post about the meeting, which also features Brandeis Professor Jonathan Decter, here. The Canton Citizen’s story about Laby and his family is here. The pediatric opthamalogist, also a professor at Harvard Medical School, also has family connections to Lerida, where Tracing the Tribe found the first document for our family. His family’s journey has covered Spain, Hebron, Salonika, North Africa, Eastern Europe and elsewhere. Dan began researching his family in high school when the earliest date he knew was his paternal grandfather’s 1904 arrival in the US. Since then, he’s reached back into the 13th century. Family members worked as financiers, diplomats and doctors for the Kings of Aragon. A few years ago, three generations of his family visited their ancestral family home in Zaragoza and other cities in Spain. He put together an excellent multimedia presentation on the family trip which he shared with JFRA Israel members. Research on his grandfather’s family, from Hebron, was furthered by a book on the history of that community. It included detailed land deeds which helped him trace back several hundred years. “I think to really understand what your future is going to be … you have to understand where you came from and what your past history is,” Laby said. It was interesting to see Dan’s quote, that he was “fortunate to have an obscure name.” This is in line with my own views. Dan says if he was looking for Cohen or Levy, it would be more difficult to find the documents for his ancestors. Tracing the Tribe feels much the same; hunting for Talalay and Dardashti makes it much easier! While we can trace with probability our kosher winemaker ancestor in Lerida mentioned in a document dated 1358, Dan has gone back to 1202 for his prominent family, which helped arrange the marriage of Ferdinand and Isabella, as well as funding for Columbus’s trip to the Americas. Dan and I have joked that our ancestor made the wine his ancestors drank way back when. Using ancient property ownership maps in Zaragoza, he was able to visit the site of the ancestor’s home during his trip to Spain. His family, along with other Spanish Jews, was expelled in 1492. Family members went to North Africa, Italy, Greece and Israel. Through his research, he’s met relatives and, in Israel, met the Alazar descendants, whom their ancestors had known in Spain. “When you do this kind of family history you learn those small details, which makes it real and makes it personal, which is what is fun about it,” he said. His documents include arrival records, passenger logs, land deeds, maps, and a 1435 ketubah (a Jewish marriage contract). How far back does he want to go? “To Abraham,” he jokes. South Florida residents can discover their roots at Nova Southeastern University’s Third Genealogy Fair, set for Saturday, April 10, from 9am-4pm. The free event takes place at NSU’s main campus – 3301 College Avenue, Davie (Broward County) – in the Alvin Sherman Library, Research, and Information Technology Center. Local genealogy experts will assist with all research topics, including Revolutionary War lineages; African, Spanish and Jewish roots; research methods and locating tombstones. Participating organizations include the JGS of Broward County, Cuban Genealogy Club, DAR, FamilySearch.org, Genealogical Society of Broward County, International Society of Genetic Genealogy (ISOGG), Mayflower Society and the Guild of One-Name Studies. The program includes genealogy database demos, breakout sessions, genealogy-related exhibitors and individual consultations throughout the day. — Megan Smolenyak Smolenyak, chief family historian for Ancestry.com, and author of the NBC show’s companion book. Her other claims to fame: Cold case researcher for the FBI & US Army; discoverer of the “real” Annie Moore, the first immigrant processed through Ellis Island; expert on genetealogy – DNA and genealogy; and founder and president of Roots Television. — J. H. Fonkert, Certified Genealogist (Dutch and English ancestry); president, Minnesota Genealogical Society; columnist, The Septs; director, Association of Professional Genealogists, Midwest Region; and recipient of the American Society of Genealogists Scholar Award in 2009. Attendees will receive a free genealogy workbook and materials to begin and continue their family history and free access to and lessons on using such genealogical databases as Ancestry Library, Heritage Quest and Family Search, and Family Tree Maker software. The Sherman Library’s 4,000+ item collection was donated two years ago by the Genealogical Society of Broward County. There are also printed materials, periodicals and personal family histories to benefit patrons of all skill levels. This gen collection is in addition to digitized holdings at the library’s two primary gen databases – Ancestry Library and Heritage Quest Online. For more on the event, click here. The Jewish Genealogical Society of Greater Washington will participate in the Sixth Genealogy Fair sponsored by the National Archives and Record Administration (NARA) on Wednesday-Thursday, April 14-15, in Washington DC. Admission is free for the two full days of lectures and exhibits at the National Archives Research Center Lobby and Pennsylvania Avenue Plaza. National Archives Building, 700 Pennsylvania Avenue, NW, Washington DC. Enter on Pennsylvania Avenue. For the full NARA Announcement, program schedule, directors and more, click here. For more information on the JGSGW, click here. Speakers include historian at the U.S. Citizenship and Immigration Services, Zack Wilske; professional genealogists Susannah Brooks, Elizabeth K. Kerstens, Marie V. Melchiori, and Thomas Shawker M.D. ; and National Archives experts Patrick Connelly, Rebecca Crawford, Damani Davis, John Deeben, Claire P. Kluskens, Trevor Plante, Constance Potter, Mary Frances Ronan, Rebecca Sharp, Katherine Vollen, and Reginald Washington. Guest exhibitors include the Library of Congress, Washington DC Family History Center, FamilySearch, Federation of Genealogical Societies, and local county genealogical societies. Programs will run from 9:30am-4:30pm both days and will showcase the diversity of Federal records located at the National Archives as resources for family history research. Speakers include National Archives staff, historians, and genealogy professionals. The fair will provide information and guidance for experienced genealogy professionals and novices alike. The event is presented in partnership with the Foundation for the National Archives and with support from Ancestry.com. National Archives staff will demonstrate how to use databases including the Archival Research Catalog (ARC) and Access to Archival Databases (AAD). Staff at the “Help! I’m Stuck” table will be available to assist researchers. See the Complete schedule for Day 1 – Wednesday, April 14; and the Complete schedule for Day 2 – Thursday, April 15. View the condensed schedule for both days, showing session titles, times and locations. See the map of the fair, showing the locations of guest genealogy exhibitors, NARA genealogy exhibitors,and sessions. Guest genealogy exhibitors include many archival, historical, libraries exhibitors, NGS, FGS, ethnic societies, and more – see the list at the link above. Like to plan ahead? The JGSGW will host the 2011 IAJGS International Conference on Jewish Genealogy at the Grand Hyatt Hotel (Washington, DC) from August 14-19, 2011. Frequent conference attendees will tell you that an excellent way to meet new people and connect with those sharing your interests is to volunteer in various ways before or during the conference. A major conference like this relies on an army of volunteers in so many areas. Some jobs can be done from home prior to the conference, others are focused on helping during the conference. Do you have time to help before or during the conference? During the conference, help is needed in all areas to help staff important locations, such as registration, hospitality, resource and more. Volunteering your time adds to the success of the event, and also helps you meet new people and make new friends. Before the conference, there are other jobs that need to be done. Frequent conference attendees who arrive early know all about bag-stuffing! But there’s much more. Banquet Journal: Volunteers needed for Ad Solictor and Ad Layout. Volunteer Scheduling Coordinator: This is a major job and carries a perk (free conference registration). Carpenter/Artist: For the handy creative types out there: A carpenter/artist volunteer is needed to create a directional sign post for the Market Square event. This needs include arrows showing the distance to, for example, Minsk or Warsaw. Tracing the Tribe is assuming distances will be measured from Los Angeles. There are many other jobs you can do. See the next Tracing the Tribe post which details some ways that you can help, no matter where you live. Click here to learn all about volunteering for the JGSLA 2010 event or email volunteer coordinator Lois Rosen for more information. Passover: The perfect genealogy holiday! As we read the Haggada during our seders, we are reminded that each of us is considered to have come out of Egypt into the Land of Israel. For many of our families, it was only one stop on the immigration trail. If our ancestors had not left their homes in many countries, we might not be here today celebrating this ancient holiday. Here are two resources to consider for this holiday. Looking for a way to bring some humor into your seder? Ask Moses: Why eat Matzah on Passover? 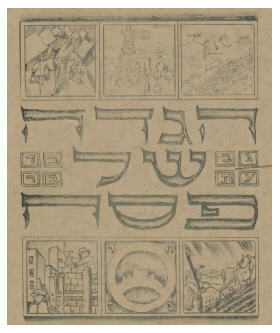 For a cyber exhibit of non-traditional Haggadot from the National Library of Israel, click here. Unfortunately, I can only find the section in Hebrew. However, there is a number on the right for each of the 28 items. Click on each and view the online exhibit or hit the PDF file on the right for each and see the Haggada that way, page by page. Videos and songs are lower down on the list. Since the early 20th century, there has been a shift to non-traditional Haggadah – the text that provides the order of the Passover seder – which uses only some of the traditional text and has various additions. It reflects changes in society, culture, Jewish history, new trends, the creation of Israel and more. The Library has more than 600 non-traditional Haggadot. Of these, 28 have been chosen for the online exhibit. They represent various types: kibbutzim, youth movements, the Jewish Brigade, satirical Haggadot etc. It also includes videos (kibbutz Passover and Omer ceremony) and recordings of seder songs. Enjoy! And search previous Passover postings here on Tracing the Tribe. My current travels have contributed to a dearth of resource investigations. However, our Geneablogger colleague Amy Coffin is producing a series of prompts called 52 Weeks To Better Genealogy. I couldn’t resist Challenge 12: Check out the web sites for the Society of American Archivists, ARMA International, and the American Library Association. Genealogists can benefit from the educational opportunities and publications of other information-based organizations. You may not be an archivist, records manager or librarian, but you share the same interests. Look at the events these associations hold. Find the books they publish and see if you can request them through your library via Inter-Library Loan. You may also want to check out your state’s (or country’s) library association. If you’re a genealogy blogger, write about your impressions of one or more of these organizations. After a long trip from Melbourne to Hong Kong on Sunday, I grabbed some dinner and then had a good sleep. This morning, I’m rested and up for Amy’s challenge. Each of the organizations she named holds information for individual genealogists and family history researchers as well as genealogical and historical societies. The Society of American Archivists holds an annual conference at which diverse topics are presented. 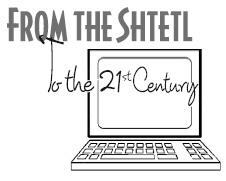 At the 2009 event, held in August in Chicago, some of these topics (online with slides, abstracts, presenter bios and more) may well interest individual researchers as well as Jewish genealogical and historical societies. The presentation (slides, abstract and bio are online) focused on collaborative efforts by larger archives from the perspective of a community-based archives and local history collection. Methods for and approaches to outreach were discussed, and centered on contacting and collaborating with organizations to create better access to community-based primary sources. A slide showing the collaboration across collaboration, education and funding was of great interest in demonstrating how the community-based archives can be introduced to a larger audience. Collaboration: Shared programming at public events, shared materials (traveling archives, inter-archival loan), Archival deposits (storage off-site), alliances (regional networks, roundtables, etc.). Education: Training manuals, local workshops, continuing education, resources (websites, regional centedrs), and standards. Perhaps the most important aspects under funding were supportive activities, such as digitization projects, educational programs, shared publications and collaborative efforts. Stressed were the C’s: Contact, Cooperation, Coordination, Collaboration and Convergence, as well as understanding how each impacts investment, risk and benefit. Also relevant was the discussion of how acquisition of local collections by larger archives and special collections departments can lead to cultural displacement, leaving some material inaccessible through what can be termed “territorial” issues. Transferring of materials also leads to backlogs during which materials cannot be accessed by those who need them. Eagle provided information on how The North Carolina Room at Forsyth County Public Library benefits from collaborative efforts of larger repositories to educate staff and share resources allowing local archival resources to remain in community hands. Tracing the Tribe enjoyed reading how two large digitization grants (to Wake Forest University and the University of North Carolina at Chapel Hill, Digital Forsyth and North Carolina Maps) provided resources for collaboration with smaller repositories. Importantly, through sharing technical resources, equipment, and expertise without attempting to acquire archival materials for their own collections, the large repositories are helping to preserve the community’s cultural assets and to respect the value of materials remaining in geographic and cultural context. — The University of Michigan’s Paul Conway presented “How do Experts use Digitized Photographs?” Included was information on types of users (scholar, avocation, occupation), as well as the classes of users, such as serious challenging users, and their motivations (affiliations, process and outcome) and photo-based projects. There is an accompanying list of references and a bibliography for those interested in more on this field. — Sam Meister’s “Recordkeeping in a Small Non-Profit Organization,” which focused on how a recordkeeping system can be implemented in a limited resource environment. It addressed such actions as investigate, analyze, identify, assess, strategize, design, implement, and review. ARMA International was established in 1955, and has some 11,000 members representing records managers, archivists, corporate librarians, imaging specialists, legal professionals, IT managers, consultants and educators who work in many industries, such as government, legal, healthcare, financial services, and petroleum in the US, Canada, and 30-plus other countries. It also publishes bi-monthly the only professional journal – Information Management Magazine – for these individuals, and organizes annual conferences. It offers webinars, podcasts and more that could prove valuable to keepers of records. The American Library Association’s mission is to promote library service and librarianship, and to provide leadership for the development, promotion, and improvement of library and information services and the profession of librarianship to enhance learning and ensure access to information. 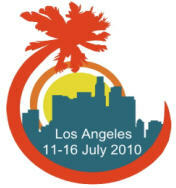 Its website resources include the program guide to the last midwinter ALA meeting in January 2010, in Boston. The daily schedule begins on page 68 and runs through page 87. You thought the annual IAJGS conferences were busy? Check out this one held in simulltaneous multiple venues which covered an enormous range of resources and information!